Our drawstring sports bag is made of 210D Polyester. It has a built-in slot for earbuds, corded shoulder straps, and a draw string closure. The corners are reinforced with faux leather and eyelets. A large front zippered pocket will keep your items secure. 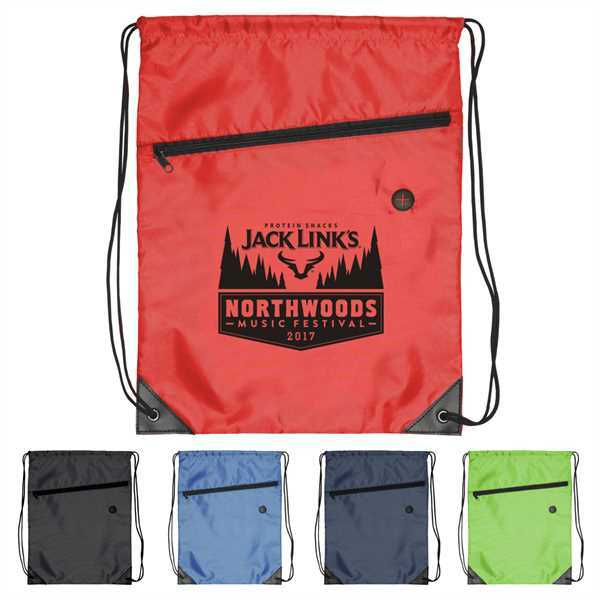 The backpacks are an ideal promotional item for schools, sports teams, camps and clubs. Size: 13 " x 17 "